Who else notices their grandparents taking a mid afternoon nap on a regular basis? Everyone love’s getting a good night’s sleep, but how many people are able to say they did? How often do they manage to get a solid night’s sleep? It is common knowledge that we should be getting anywhere from 7 to 9 hours sleep depending on the individual and their daily requirements, but with the chaotic lives we live, some people only get 6 hours (on a good night). Fitting in work, family life, social events, exercise and the very exciting household duties we love to do can be difficult. But what about the elderly who are not under the same time restraints. Why is it that many older men and women have poor sleep hygiene resulting in drowsiness during the day? As we age our sleeping pattern changes, but our sleeping needs remain similar. Some may think that as we get older we don’t require as much sleep this however isn’t the case. The elderly require the same amount of sleep as those in their “middle ages” (7-9 hours). 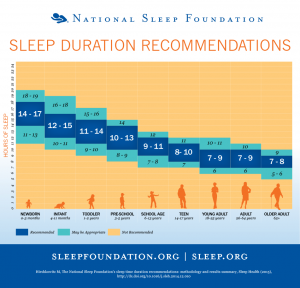 The difference, as highlighted by The National Sleep Foundation, is that older people tend to go to sleep earlier. This is known as advance sleep phase syndrome where the sleep cycle is brought forward in the day resulting in them waking up earlier as well. What causes this? Researchers believe this has to do with changes in our circadian rhythm, but more research in this field may answer why this happens. The other common issue is known as ‘Nocturia’ which is waking up during the night to go to the toilet. What is a ‘circadian rhythm’, what does it do? The circadian rhythm is commonly referred to as the ‘body clock’, which helps to regulate levels of sleepiness and alertness, eating habits, digestion and other important bodily functions. Disruptions to the circadian cycle can throw out our ‘normal’ sleeping patterns. Examples of these disturbances are reduced total sleep, frequently waking throughout the night, and difficulty getting to sleep. Nocturia is defined as getting up two or more times during the night. Nearly half of all men aged 70-79 suffer from Nocturia (Abrams et al,. 2013). Having broken sleep from frequently waking up during the night can put the elderly at higher risk of falls and fractures due to daytime drowsiness. According to Holm-Larson 2014, the cost to society when sufferers fall due to fatigue estimated to be approximately $1.5 billion/year in the US. Those lucky enough to avoid falls are still at a higher risk of living a lower quality of life from tiredness, as well as decreased mood, memory and concentration. What is the best mattress for me? Generally speaking, one that you find comfortable! However, the article Effect of firmness of mattress on chronic non-specific low-back pain written by Francisco M Kovacs et al. looked at the effect of different firmness levels in mattresses on chronic low back pain in older people. They found that a medium-hard firmness mattress reduced levels of pain in chronic back pain individuals. After 90 days of using a medium-firm mattress, patients had less back pain on rising and throughout the day compared to those using firm mattresses. Start your 120 night trial at Koala today by clicking here! Koala sells medium firm mattresses a third of the price of traditional mattress retailers, offer finance options, and give all customers 120 nights to trial their products! Paora Waaka is a Physiotherapist (MAppSci) for PB Physio. 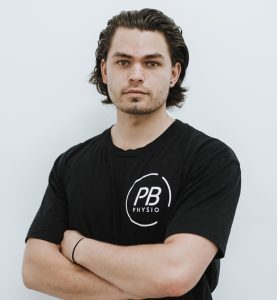 He specialises in musculoskeletal physiotherapy for sports and performance specifically field based sports eg AFL, NRL, Rugby Union, and soccer. Waaka has a keen interest in shoulders will help you achieve your personal best in your physical goals/sports.